Born on August 28: Sidney Drew in 1863; E.E. Clive in 1883; Morris Ankrum in 1897; James Wong Howe in 1899; Charles Boyer in 1899; Allen Vincent in 1903; Sam Levene in 1905; Peggy Ryan in 1924; and Donald O'Connor in 1925. Classic Movie Daily subscribers will find images of Sidney Drew, Charles Boyer, Peggy Ryan, and Donald O'Connor inside today's mailing—some screen captures of a few of the other listed parties are below. Subscribers can also look for Sidney Drew's 1919 obituary, with a couple more pics, plus a pair of images featuring TCM's featured star of the day, Ingrid Bergman. —TCM Friday, Ingrid Bergman Summer Under the Stars (TCM's page) - I'm surprised TCM didn't push this to Saturday, because then it could have doubled as a birthday schedule. Oh well, I suppose it does anyway after midnight. The big pre-1950s stuff makes the prime time slots on Friday with Casablanca (1942) airing at 8:00 pm, followed by Gaslight (1944) at 10:00 pm. 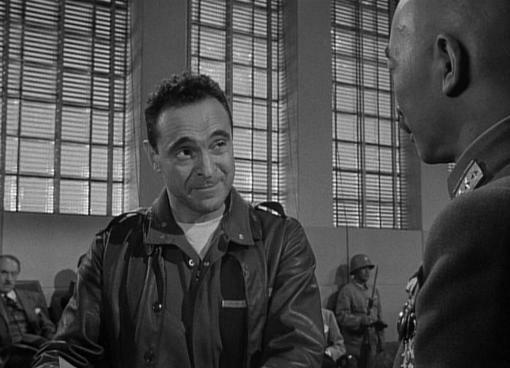 —TCM Saturday, George C. Scott Summer Under the Stars (TCM's page) - Too modern for this space, but the big ones are Patton (1970) at 5:00 pm, followed by The Hustler (1961) at 8:00. —TCM Sunday, Gary Cooper Summer Under the Stars (TCM.com link) - Passable mix of Gary Cooper titles ranging over 25 years from the 1930s-1950s. No real hidden gems here, though the one I've covered, It's a Big Country (1952), opening the day at 6:00 am, is at least interesting. Check out my post for a summary of each segment along with the various MGM stars who populate them. I do like One Sunday Afternoon (1933 - 12:00 pm), but I like it better with Cagney and company as The Strawberry Blonde (1941). The big Coop titles playing on Sunday are the pair of Capras, Meet John Doe (1941 - 1:30 pm) and Mr. Deeds Goes to Town (1936 - 8:00 pm), and the classic Sergeant York (1941 - 10:15 pm) from director Howard Hawks. Nice 1991 documentary hosted by Clint Eastwood closes out Cooper beginning at 4:45 am, early Monday morning. —TCM wraps up Summer Under the Stars for 2015 on Monday with 24 hours of Shelley Winters (TCM.com link) movies beginning at 6:00 am with Harper (1966). —Regarding One Sunday Afternoon from the Gary Cooper schedule, a bit of Helen Twelvetrees trivia, she played Biff's wife Amy on the 1936 Lux Radio Theater presentation starring ... Jack Oakie! She had recently returned from the movie she did in Australia and references her trip at the end of her little pitch for Lux while talking to host Cecil B. DeMille. If you want to hear the episode, it's available for free at the Internet Archive, program number 29 on this page (And if you didn't know these existed or were available to listen to—I hope you do manage to get other things done this weekend!). —I covered Sunday's star, Gary Cooper, when TCM included him in Summer Under the Stars 2012, and the resulting post is a favorite. I sought out Cooper quotes and local flavor exclusively from Cooper's hometown newspapers in Helena, Montana, with the crowning jewel of the post an image towards the bottom of the page—I remember that it took hours, but I found one of Cooper's own political cartoons published by the Helena Daily Independent in 1924, when the future movie legend was still just 23-years-old and signing his name as "F. Cooper" ("F" for Frank). You can find that post here: The Rise of Gary Cooper Covered by His Hometown Helena Newspaper. —Last night I finally had a chance to watch the baseball musical They Learned About Women (1930) starring Van and Schenck. It began to feel a little long by the end, but if you like Van and Schenck's tunes (which I do), that goes a long way towards survival. Terrible waste of Bessie Love, though she's absolutely delightful when she gets to sing a song herself ("A Man of My Own"). I was looking forward to the "Harlem Madness" number, and while the song was good, the choreography, um, what choreography? It looked like they gathered a whole bunch of talent together, and then Busby Berkeley took a sick day. The baseball scenes aren't terrible, but they're limited until the climax puts the Blue Sox, suddenly and without warning, into the World Series. I'm not a huge fan of Roscoe Ates (who is not in this), but he may have saved the early talkies by being able to affect a somewhat natural comic stutter. Early talkies loved a good stammer or stutter, but youthful character man Tom Dugan does a terrible one throughout They Learned About Women. It's as though the screenwriter wrote his dialogue with a stut-ut-ut-ta-utter, like so, and Dugan bloodlessly read it back as printed. Painful to watch. It's funny, Dugan actually went on to have a much busier career than anyone else in this one over the next few decades. Without the stutter. Anyway, probably no review, lightning or otherwise, ever coming for this title (Danny Reid at Pre-Code.com has more if you want it), but if you were curious I scored it 5/10 on the IMDb. I'd probably edge it up a half a point if I could, as it's a little more good than it is bad, but it's not really a title worth fighting for. If you ever wondered why most of the movies I review score a 6 or higher, this is it: I find it very difficult to work up the excitement or energy to give a bigger spotlight than this to a movie scoring any lower. The best compliment I could give They Learned About Women is that "it's not bad for a January 1930 release," but that's about as backhanded a compliment as you could give. If it were released even two years later, well, it wouldn't have been. Above: E.E. 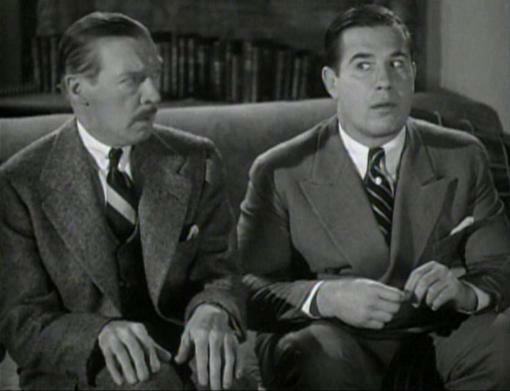 Clive (left) sits with Nat Pendleton in Arsene Lupin Returns (1938). Above: Allen Vincent in Two Against the World (1932). 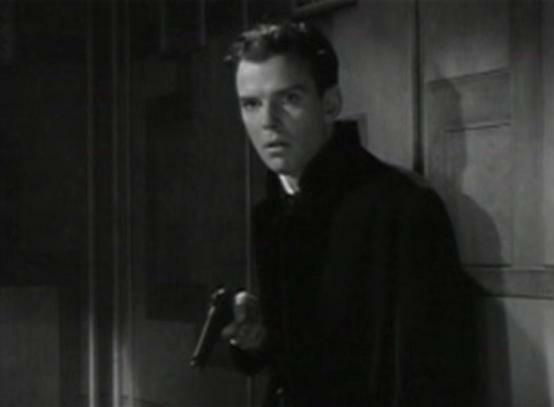 Above: Sam Levene in The Purple Heart (1944).